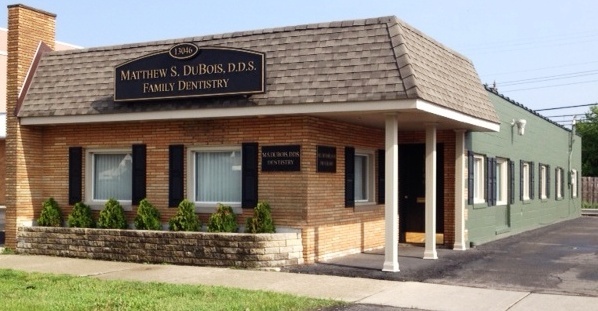 Dr. Dubois and his staff are committed to providing comprehensive, high-quality and affordable dental care for your entire family. We have been serving the Downriver community for over 30 years in our modern office, conveniently located on Eureka Rd in Southgate, MI. By using many of the latest technological advancements in the dental profession, we aim to improve your appearance, self-confidence and your overall dental health in a caring, friendly atmosphere. We have a small staff by choice, and keep our appointment schedule light and focused on you, so that you feel more like a special patient than just another number. We offer 24 hour emergency care, and accept most major dental insurances. As a family oriented practice, we provide each of our patients with a friendly, personalized and gentle experience. We pride ourselves on our commitment to excellence, integrity, and quality dental care through the variety of services we provide. You will always be cared for with respect and receive the individual attention you deserve. Please look around our web site for more information about the care we provide, or call for a tour of our office and to meet our staff. We look forward to treating you. Please explore below for a more detailed description of our office. Our office has made the commitment to keep our staff size small, in order to insure that our patients receive a focused, personalized experience. Our office provides the most modern, up to date dental care, using the latest technology. Learn more about what we do by exploring below! Your opinion is important to us! Please follow the link to provide feedback for us, to provide the best care possible to you. We encourage you to contact us! Our caring staff can assist you in taking care of all your appointment needs. In addition, our office provides 24 hour emergency care for your convenience.